We will interpret the concept, structure and working principle of the power battery in the simplest and most understandable way so that we can have a deeper understanding of the power battery. ①Open circuit voltage: refers to the battery when there is no external circuit or external load voltage. Open circuit voltage and the remaining energy of the battery have a certain connection, power display is to use this principle. ②Operating voltage: refers to the battery in the working state that the current flow in the circuit when the battery is between the positive and negative potential difference, also known as the load voltage. In the battery discharge state, when the current flows through the battery, you must overcome the resistance of the internal resistance, so the operating voltage is always lower than the open circuit voltage. ③Discharge cut-off voltage: refers to the battery is fully charged after discharge, put the electricity to reach the voltage (if the discharge is over-discharge, the battery life and performance damage). ④Charge limit voltage: the process of charging from constant current to constant voltage charging voltage. ①Definition: Battery capacity refers to the amount of power the battery can store, capacity is an important indicator of battery performance, which is determined by the active material of the electrode. ②Unit: Capacity is indicated by C, unit is expressed by Ah (mAh) or mAh (mAh). ③Formula: C = It, that is, battery capacity (Ah) = current (A) x discharge time (h). ④Example: A battery with a capacity of 10 Amps can be discharged for 2 hours at 5 Amps or 1 hour at 10 Amps. ⑤Factors: The actual capacity of the battery depends mainly on the following factors: the number of active substances, quality, utilization of active substances. ⑥Rated capacity: Measured under specified conditions, given by the manufacturer battery capacity. 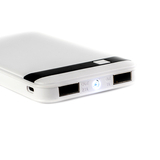 ⑦Available capacity: The amount of charge released from a fully charged battery under the specified conditions. 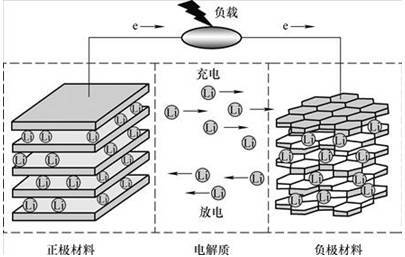 ⑧Theoretical capacity: Assume that the active substance is fully utilized, the capacity of the battery to release. ②Formula: Energy (Wh) = rated voltage (V) × working current (A) × working hours (h). 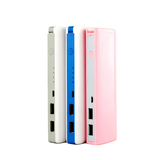 ③For example: 3.2V15Ah single cell energy 48Wh, 3.2V100Ah battery power 320Wh. Battery energy is a measure of battery-driven equipment, an important indicator of work done, the capacity can not determine how much work. ①Definition: The energy released per unit volume or unit mass, usually expressed as volume energy density (Wh / L) or mass energy density (Wh / kg). ②For example, if a lithium battery weighs 325g and its rated voltage is 3.7V and its capacity is 10Ah, its energy density is 113Wh / kg. The following table is the theoretical value. In practical applications, the shell structure and parts in the battery structure should be considered And other factors. At present, the energy density of lithium batteries is 3 and 1.5 times that of Ni-Cd and Ni-MH batteries. The energy density is determined by the material density and structure. ①Power refers to the discharge of a certain system, the unit of energy output within a battery, in units of W or kW. ②Power density, also known as specific power, is the power per unit mass or unit volume of battery output in W / kg or W / L. Specific power is to evaluate the battery and battery pack to meet the electric vehicle acceleration and climbing an important indicator of capacity. ①Definition: The discharge rate refers to the current value required to discharge its rated capacity (C) within a specified time and is numerically equal to the multiple of the battery rated capacity. ②Example: 10Ah batteries for example, to 2A discharge, the discharge rate of 0.2C, with 20A discharge, the discharge rate of 2C. ①CC / CV: CC is the constant current, with a fixed current charging the battery; CV that is constant voltage, a fixed voltage charging the battery, the charging current will gradually decline as the battery is full. ②Trickle charge: Refers to less than 0.1C current charging the battery, the battery is generally close to full charge, when the line is used to supplement charging, if the battery is not strictly required charging time, it is recommended to use trickle charge mode charging. ③Float charging: Always charge the battery with a constant voltage, so that it maintains a certain state of charge. 8、Charge and discharge depth (SOC DOD): the value of the battery retention capacity means. ①state-of-charge（SOC）：Remaining battery capacity after discharge and the percentage of full capacity. ②depth ofdischarge（DOD）：The parameter that indicates the state of battery discharge equals the percentage of the actual discharge capacity to the rated capacity. ③deep discharge：Indicates the degree to which 50% or more of the capacity is discharged. ④Example: charge and discharge depth as a percentage of the rate, such as: the capacity of 10Ah battery discharge capacity becomes 2Ah, can be called 80% DOD; capacity 10Ah battery charge capacity 8Ah, 80% SOC. Described full of full release, commonly referred to as 100% DOD. ①Definition: The internal resistance of a battery refers to the resistance that the current flows through the battery when it is in operation. The size of the main resistance by the battery material, manufacturing processes, battery structure and other factors. ②Category: Battery internal resistance including ohmic resistance and polarization resistance, ohmic resistance is composed of the electrode material, electrolyte, diaphragm resistance and the contact resistance of parts of the composition, the polarization resistance includes electrochemical polarization and concentration pole Induced resistance. ③Factors: Battery resistance is a very complex and very important features, the factors that affect the internal resistance of materials, structures and so on. ④Produced the result: Because of the internal resistance, when the battery discharges, the electric current will produce the heat through the internal resistance, consume the energy, the electric current is bigger, consume the energy more, so the resistance is smaller, the battery performance is better, not only the actual battery High operating voltage, the energy consumed in the internal resistance is also less. ①Definition: During storage, the capacity of the battery will gradually decrease. The ratio of the reduced capacity to the battery capacity is called the self-discharge rate. ② Reason: Due to the instability of the electrode in the electrolyte, the two electrodes of the battery have a chemical reaction, the active material is consumed, the chemical energy converted to electric energy is reduced, and the battery capacity is decreased. ④ said: battery capacity attenuation (self-discharge rate) of the expression and units:% / month. ⑤ produce the result: battery self-discharge will directly reduce the battery capacity, self-discharge rate directly affects the battery storage performance, the lower the self-discharge rate, the better the storage performance. ① Definition: The secondary battery undergoes a charge and discharge cycle or cycle, the battery charge and discharge repeatedly, the capacity will gradually decline, under certain discharge conditions, the battery capacity dropped to 80%, the battery is subject to the cycle The number is the cycle life. ② Factors: improper use of batteries, battery materials, electrolyte composition and concentration, charge and discharge rate, depth of discharge (DOD%), temperature, the production process, etc. have an impact on the battery cycle life. ① Definition: The memory effect of a battery refers to the percentage of the battery that can not be fully discharged at the next charge. 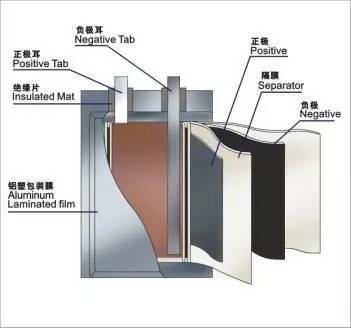 ② reasons: the battery material to produce crystallization, such as nickel-cadmium batteries, Cd continue to gather into a large group of cadmium form, reducing the negative activity. ③ Avoid: In order to eliminate the memory effect of the battery, before charging, it must be completely discharged, then recharge. Lithium-ion battery without memory effect. Refers to the part of the discharge curve in the basic voltage level. The higher the discharge platform, the longer the more stable the better the discharge performance of the battery. By a number of single cell in series, in parallel to form a battery pack. The overall battery performance and life expectancy depends on one of the poor performance of the batteries, which requires the battery pack each cell performance consistency. In addition to the performance of the single cell itself, the error and the quality of raw materials is good or bad, the main reason is the manufacturing process, process improvement to improve the quality of the battery is very important. 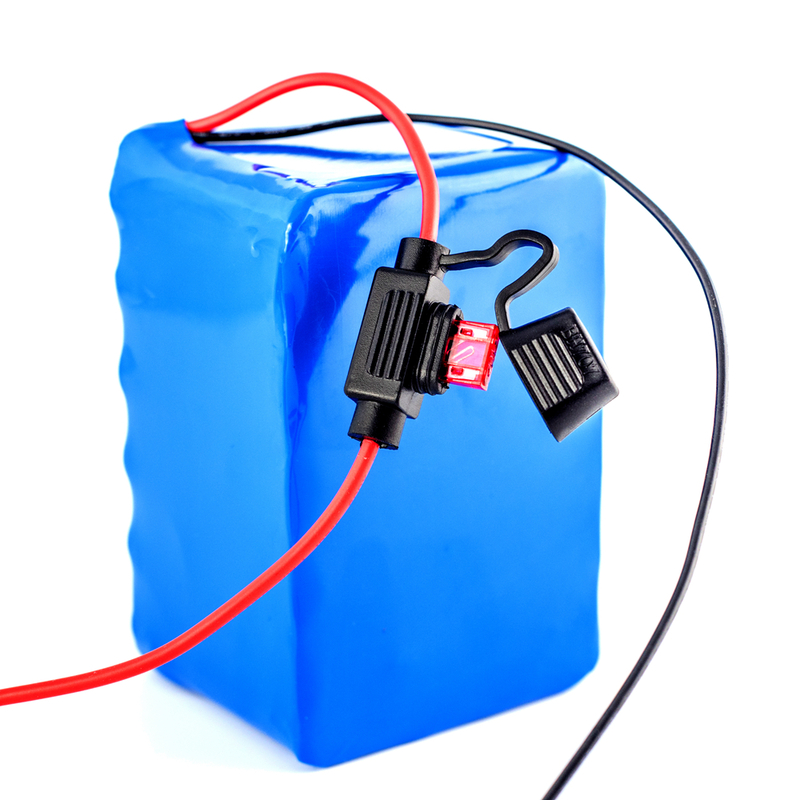 After the battery is made, the process of activating the positive and negative active materials inside by a certain charge-discharge method to improve the charge-discharge performance of the battery and the self-discharge, storage and other comprehensive properties is called as a chemical reaction. After the battery into the reflected in its true performance. At the same time into the process of sorting process can improve the consistency of the battery pack, so that the final battery pack performance. During charging, Li + in the positive electrode and Li + in the electrolyte aggregate to the negative electrode to obtain electrons, which are reduced to Li to be embedded in the negative electrode carbon material. During discharge, Li embedded in the negative electrode carbonaceous material loses electrons and enters the electrolytic solution, and Li + in the electrolytic solution moves toward the positive electrode. Power to the battery charge, then the positive electrode e from running through the external circuit to the negative, positive lithium ion Li + from the positive "jumped" in the electrolyte, "climbed" the diaphragm bend on the curved hole, "swimming "Reached the negative, with the long run over the electronic combination. The battery discharges, at which time the electron e on the negative electrode runs from the external circuit to the positive electrode, the positive lithium ion Li + "jumped" into the electrolyte from the negative electrode, "climbs" through the tortuous hole in the diaphragm and "swims" Positive, combined with the electrons that ran long ago.